Greatest Game of All: My Life in Golf. Nicklaus, Jack with Herbert Warren Wind. 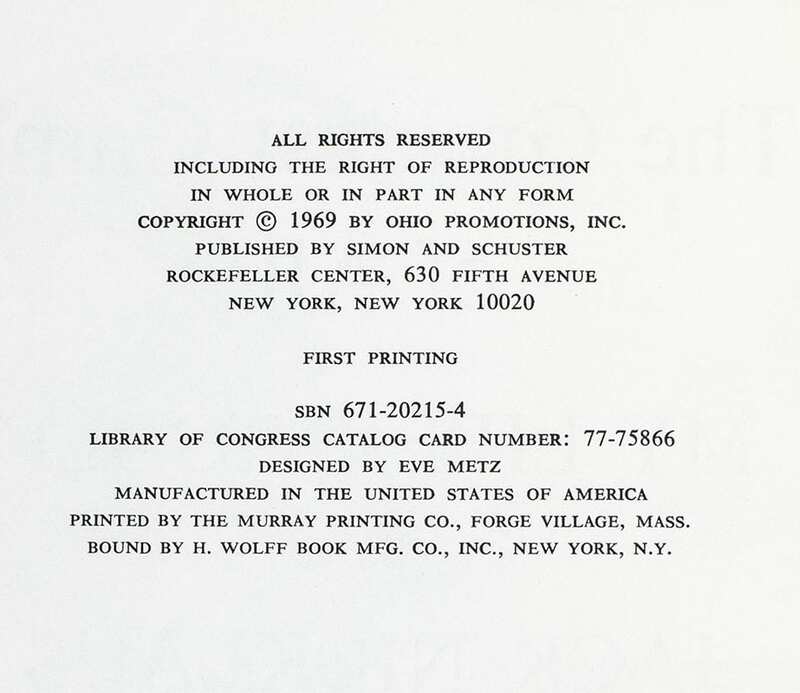 New York: Simon & Schuster, 1969. First edition of the golfer’s autobiography, which includes six full chapters on instruction. Octavo, original cloth, illustrated. 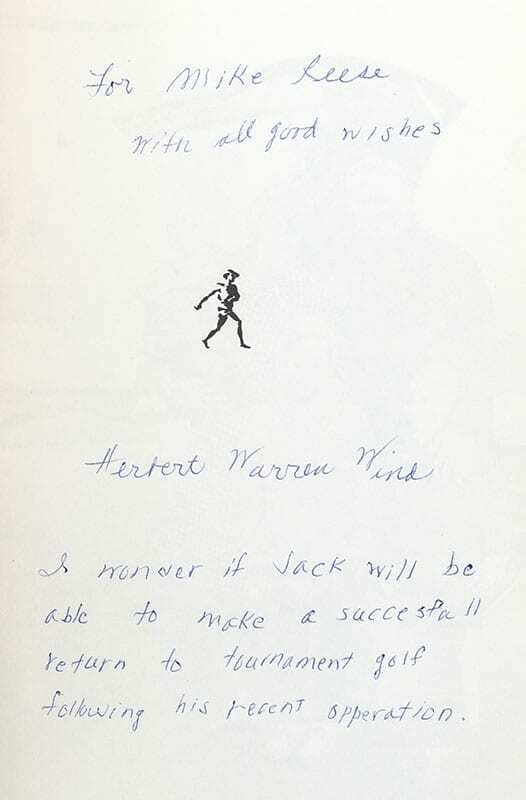 Presentation copy, inscribed by both Nicklaus and Herbert Warren Wind. Inscribed on the front free endpaper, “To Mike all the best Jack Nicklaus.” Additionally inscribed on the half-title page, “For Mike Reese with all good wishes I wonder if Jack will be able to make a successfull return to tournament golf following his recent operation Herbert Warren Wind.” Fine in a near fine dust jacket with light rubbing to the dust jacket. Jacket design by Milton Charles. 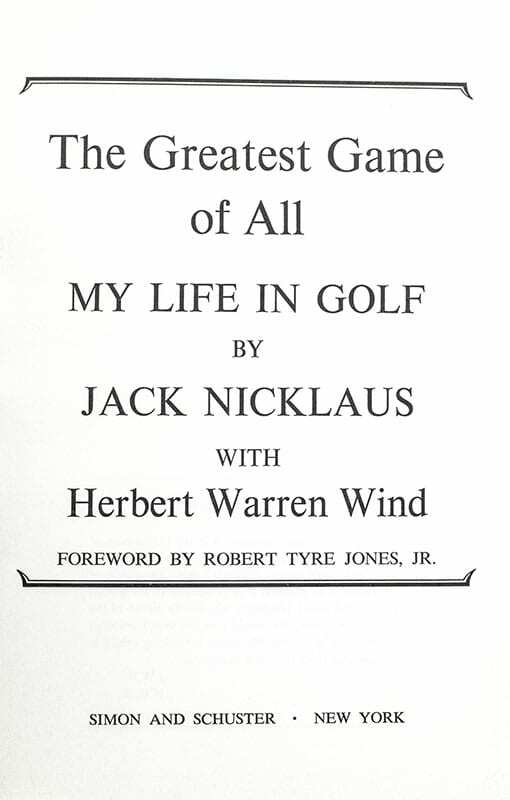 Foreword by Robert Tyre Jones, Jr. Rare and desirable signed by both Nicklaus and Warren Wind. Professional golfer Jack Nicklaus has won eighteen major championships and is atop Golf Inc. magazine's "Most Powerful People in Golf" list for a record-winning sixth consecutive year. Greatest Game of All is a glance into the life of possibly the best golfer in the world and the wonderful story he felt he had to tell. In this sense, it is a culminative piece to his legendary career before professional retirement at the age of thirty-four. First edition of the golfer’s autobiography, which includes six full chapters on instruction. Octavo, original cloth, illustrated. 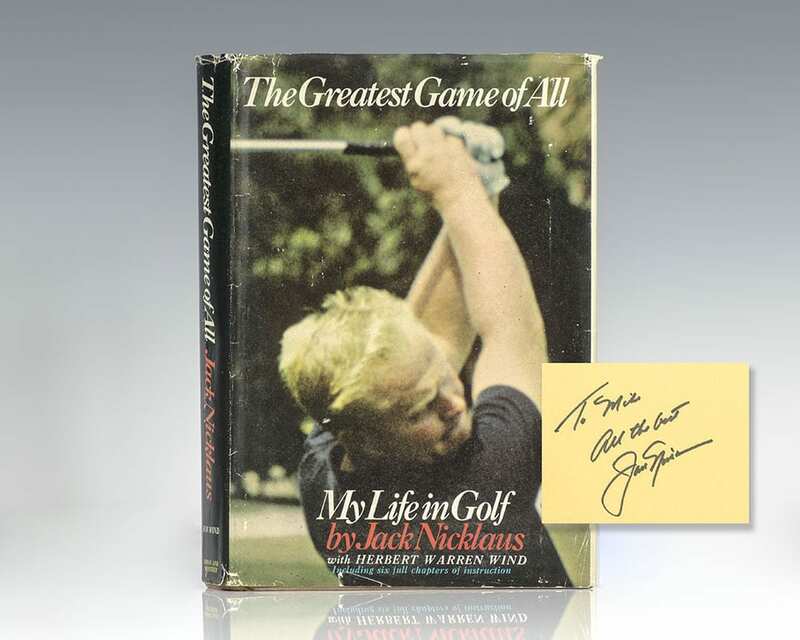 Boldly signed by Jack Nicklaus on the front free endpaper. Near fine in a near fine price-clipped dust jacket with light rubbing to the dust jacket. Jacket design by Milton Charles. Foreword by Robert Tyre Jones, Jr. A very sharp example.